Uproar about a launderette owner’s decision to bar non-Muslims from using his service has focused a spotlight on broader discriminatory attitudes in Malaysian society as well as elsewhere in Asia that are reinforced by Saudi-inspired ultra-conservative interpretations of Islam. The silver-lining in the launderette owner’s controversial move is the fact that it sparked debate about discrimination in Malaysia. Malaysian opposition member of parliament Teo Nie Ching announced that she was considering introducing legislation to strengthen anti-discrimination in the country’s legal code. It was not immediately clear whether she would tackle Malaysia’s banning of the use of the word Allah by Christians and repression of the country’s miniscule Shiite community in any proposed legislation. Similarly, Malaysian lawyer Syahredzan Johan asked on Twitter what the difference was between what the difference was between a launderette owner refusing to service non-Muslims and Malaysian Chinese accepting only Chinese roommates or Malaysians refusing to rent properties to Africans. “We need to look at the aspect of discrimination within our society… I think these are discussions that need to happen moving forwards instead of just pigeonholing it as something like increasing Islamisation or Talibanization,” Mr. Johan said. The launderette uproar was but one of several incidents in Malaysia sparked by Saudi-inspired ultra-conservatism. 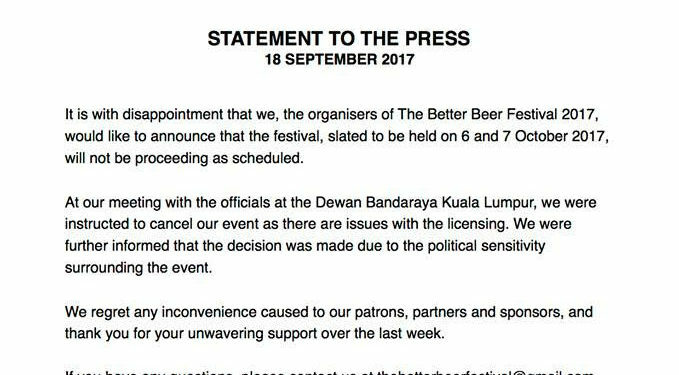 Ultra-conservatives stirred a furore over this year’s Better Beer Festival in Kuala Lumpur. 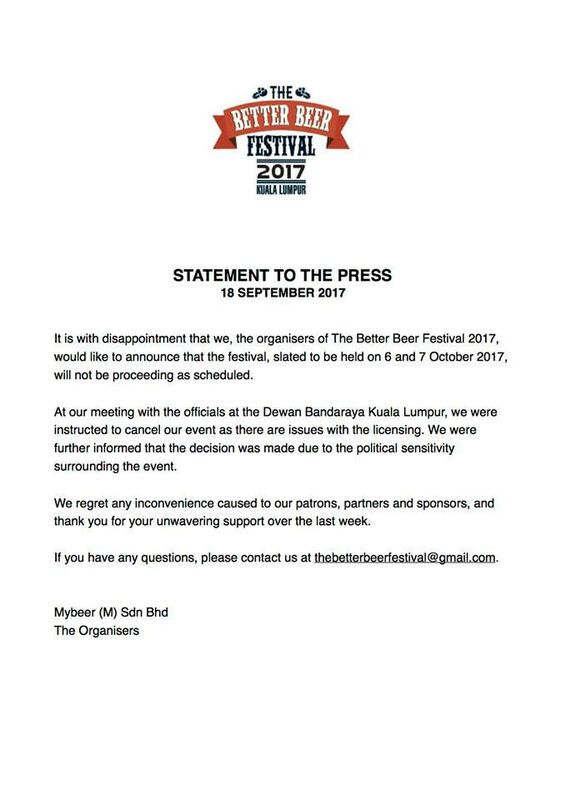 In contrast to Sultan Ibrahim’s response, Kuala Lumpur’s municipality caved in to Islamist agitation by refusing to authorize the annual event that aims to promote smaller breweries because it was politically sensitive. Similarly, a decision by religious authorities in the Malaysian state of Kelantan to recommend counselling and impose a fine on a Muslim man for wearing shorts in public triggered fierce debate on social media. “Slowly, those educated in religious education in Middle East is trying to turn Malaysia into Taliban country,” said John Brian Anthony on Facebook. The debate sparked by the string of incidents goes to the core of concern across Asia about a rising threat of jihadism as the Islamic State (IS) loses its territorial base in Syria and Iraq and looks for new pastures in South, Central and South-eastern Asia. A IS-affiliated group has been battling security forces in the Philippine city of Marawi for the past three months while Islamic militants are blamed for sparking the latest Rohingya crisis in Myanmar. The challenge for Asian governments is to complement law enforcement and military measures to counter militants with inclusive policies that ensure that all segments of their populations have a stake in society. That is proving to be a tall order for leaders like Malaysian Prime Minister Najib Razak, who has used Islam to shore up his image tarnished by a massive corruption scandal, as well as Indonesian President Joko Widodo. Like others, the two leaders face popular pressure from Saudi-inspired Islamic militants. Similarly, Pakistani military and civilian leaders see militants as useful proxies in their dispute with India and geopolitical manoeuvring in Afghanistan. There is little indication that Asian governments are capable or willing to confront deeply ingrained attitudes that have in part been fostered by a global, four-decade old, $100 billion Saudi campaign that propagated ultra-conservative visions of Islam in a bid to establish the kingdom as the leader of the Muslim world and to counter the revolutionary appeal of Iran following the 1979 Islamic revolution that toppled a monarch and an icon of US influence in the Middle East. The campaign has not only influenced segments of Muslim society across Asia, but also ensured that discrimination is enshrined in legislation in various countries that politically would be difficult, if not impossible, to revise. Repealing blasphemy laws in countries like Indonesia and Pakistan would spark popular revolts. So would rolling back Saudi-inspired anti-Ahmadi legislation in Pakistan and anti-Shiite laws in Malaysia and discrimination of Ahmadis as well as gays and transgenders in various parts of Asia. Militants this year successfully blocked a Christian from running for re-election as governor of Jakarta after ensuring that he was convicted on blasphemy charges. In Pakistan, a country in which Saudi-inspired ultra-conservatism has left one of its largest footprints, supporters of a preacher who adheres to a strand of Sufism, a mystical wing of Islam denounced by ultra-conservatives, attacked a party in a region bordering on Afghanistan for playing music The incident demonstrated the pervasiveness of Saudi-inspired ultra-conservatism. “If you use force to make people more religious or make them understand religion the way you understand it, then you are bringing more harm than benefit to the religion,” said Mustafa Akyol, a prominent Turkish intellectual and journalist, minutes before boarding a plane at Kuala Lumpur International Airport after he was detained for 24 hours for giving a university lecture allegedly without having proper credentials. In an indication of the risks of ingrained discrimination and racism, Malaysian authorities this week arrested an Indonesiansupporter of IS who was on his way to Myanmar to support the Rohingya by attacking Myanmar targets. The arrest highlighted the degree to which Asian leaders would have to think out of the box to tackle drivers of militancy and work towards religious and ethnic harmony. The Rohingya issue poses a threat that goes far beyond immediate humanitarian concerns or where to temporarily locate hundreds of thousands who in recent weeks have fled to Bangladesh from Myanmar, a patchwork of 135 predominantly Buddhist ethnic groups. Differences of opinion about who the Rohingya are and where they belong among Myanmar Muslims and non-Muslims alike are not going to solve a problem that is fuelling militancy and potentially is becoming a rallying cry for the Muslim world. “We don’t want to simply go back to Myanmar to be non-persons. We want to belong somewhere,” a Rohingya refugee in Bangladesh was quoted by news media as saying. The refugee hit the nail on the head. The Rohingya will continue to be a festering problem as long as no permanent solution is found. The stakes are not defining who they are or where they historically belong but creating a permanent, solution for a group whose unresolved plight goes to the future of Asia. The stakes are what kind of Asia Asians want and to what degree Asian leaders and societies are willing to confront problems head-on.